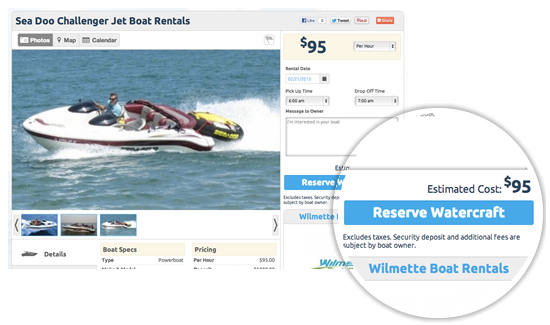 GetMyBoat, the leading marketplace for boat rentals and charters, makes renting boats easy (or a cinch). Our platform is simple: search for boats in the area you want to go boating, then send a request to reserve a boat. While requesting a boat is easy, the boat owner or rental company may have a list of criteria to determine whether or not they will rent to you. And when multiple renters are requesting the same boat for the same day, the owner or rental company will have to decide whose reservation to accept over everyone else’s. You can use the following tips to ensure your boating “résumé” puts your reservation request at the top of the list! Will you take the boat out on your own, or do you want a captained or crewed charter? In the unlikely event that you become unable to handle the boat, who else in your party will have the ability to handle the boat? What is the total number of people in your party? Will you take out renter’s insurance? (Some owners will require this. )-Any other special requests? If you are booking a crewed or captained charter, where the owner or rental company’s qualified staff will be handling the boat, it is unlikely you will be required to have previous experience with boating. When requesting a bareboat charter, however, each owner or rental company will have their own list of requirements for skill and experience level. While the above tips are not all-inclusive and may even seem obvious, it may make the difference in whether or not your boat request is approved. At the very least, it will speed up the process and get you out on the water faster - happy boating!